Every now and again I do something that makes me take my palm to my forehead and do my best Homer Simpson impression, “D’oh!” Why haven’t I done this before? This design is definitely one of those moments. 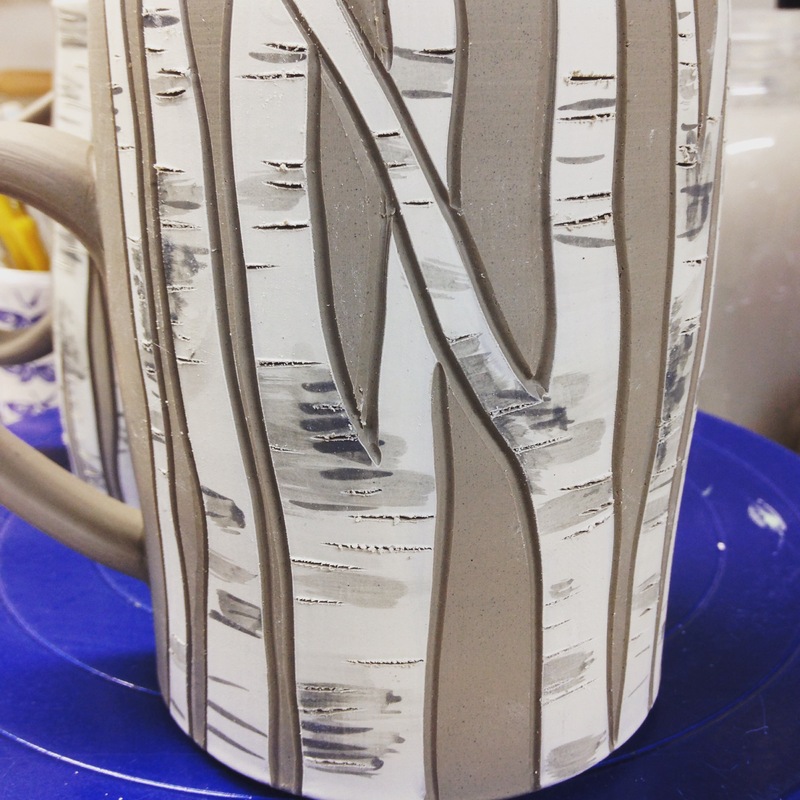 Easily executed, and awfully pretty if I do say so myself, this new birch motif is sure to be on every form I make! They’ve always been amongst my favorite trees, and now I’ll be seeing them in my sleep. Ps… I’ve been asked a lot lately what my next show is, and it is Wisconsin Sheep and Wool in September. My current studio work is being earmarked for an online update. I’m in the throes of summer revelry with the kiddos, so the date and time haven’t been scheduled yet. So, TBD! This entry was posted in studio, update and tagged birch, jenniethepotter, mugs, studio on June 11, 2015 by Jennie. Oh these are gorgeous and I can’t wait to see your update.. I use the mug I bought at Stitches West every single day! Are you taking commissions on the birch design? I want a vase! I will be in touch as soon as I get clearance to make large work again! Oh wow! I’m late to the party, but I LOVE this design! I’ll cross my fingers one shows up on Etsy someday!